Earlier this week authorities have released further on the awaited VAT taxation including UAE VAT exempts on a list of products and services. Interesting to mention Duty-Free Products are to see VAT applicable only on inbound travelers entering the country. Residents traveling abroad will enjoy UAE VAT exempts on Duty-Free Zone products. 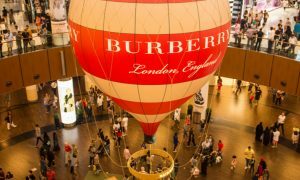 Dubai Duty-Free officials have highlighted that the higher percentage of their sales are on outbound flyers and there will be a minimal impact from the Value Added Tax or Excise Tax, with tobacco products only accounting for 9 percent of their overall sales. During the last week of August before the Eid’s long weekend, authorities have released more details on the expected to come into effect Excise Tax and VAT. 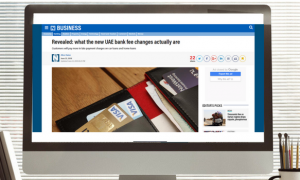 The UAE Tax Authority in collaboration with government authorities has launched a website to offer clarity on the Excise tax and VAT roll out. The targeted initiative by the Department of Municipal Affairs and Transport – Abu Dhabi Municipality (ADM) aims to solve the ever recurring problem of congested houses for bachelors and to prevent illegal partition in residences for families. Housing units will be as low as AED 700 a month as announced by authorities earlier this month. The initiative targets fixed income groups to meet their basic needs providing them with high quality and affordable accommodations. The offered price range will bridge the gap between supply and demand saving investors about 4 million in total building costs and reducing construction period down by eight months according to the ADM.
As highlighted there will be two targeted categories of occupants; the first category being the low-income family segment earning a monthly income of AED 4,000 to AED 6,000. This sector will be offered rent ranging from AED 1,400 to AED 2,100 per month. The second category will be bachelors with variable incomes between AED 2,000 to AED 4,000. The rental value offered will be AED 700 to AED 1,400 per month. The authorities assign residence rental value calculated at a rate to not exceed 35 percent of the individual’s total income. Announced earlier this month on Tuesday, August 1st, 2017, The General Directorate of Residency and Foreign Affairs under the Ministry of Interior launched the “E-Channels” smart visa regime. One of the more yet to be expected additions to this system announced last Saturday is the potential of possibly putting an end to visa stickers on passport pages and replacing it with a new electronic digital stamp system. A pilot phase of this initiative has already commenced in the Emirate of Ajman with initial numbers showing a 50 percent drop in the time taken to apply and receive a resident visa. The new system comes in line with Vision 2021 to migrate government services to smart digital services hence reducing paperwork, time and energy. Over 19,200 red light violations have been issued in Dubai between January to July 2017. Dubai Police are urging drivers to approach intersections slowly and avoid jumping yellow lights. 83 injuries have been reported so far in 2017 due to traffic signal collisions. 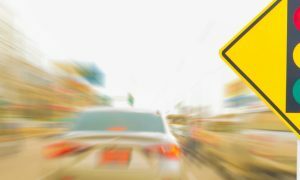 According to the New Traffic Law effective July 2017, the punishment for crossing a red light is AED 1000 fine, 12 black points, and vehicle impoundment for 30 days., “Drivers need to be extra cautious around intersections,” says Thomas Edelmann, founder of Road Safety UAE.